Educators turn to community justice centers for training and resources to teach students restorative ways to resolve conflict. CJCs offer training to members of the school community—teachers, administrators, students and parents—to promote restorative responses to incidents such as truancy, fighting, and bullying. 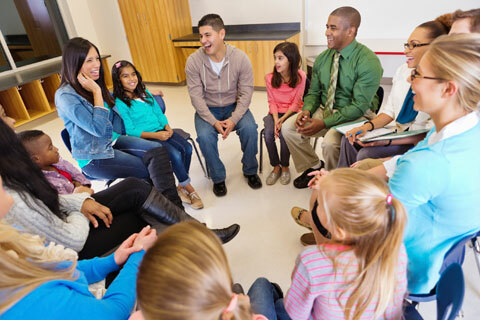 When requested, CJCs may convene restorative conferences with parents, students, administrators and other affected individuals, present workshops on special topics of interest to the school, or facilitate dialogue between the school and the community. CJCs support the essential work of schools in promoting feelings of safety and well-being for all members of the school community.